1.ALWAYS CHOOSE YOUR SHAMPOO AND CONDITIONER BASED ON THE POROSITY OF YOUR HAIR.Take Porosity Test. This will help you achieve healthy and beautiful hair. Using the wrong products leads to hair dullness, breakage, balding and a host of other problems. Look for hair care products that encourage healthy hair growth.2.AVOID PARABENS, SULPHATES, PHTHALATES, DHEA/DME, HARSH SALT SYSTEMS. These have been linked to cancer, infertility, feminization of males (yap, they make boys make female hormones). Instead, choose paraben and suphate free shampoo and conditioner plus products that are free of the above mentioned products. 3.RINSE AND CONDITION WITH COLD WATER After shampoo, rinse and condition your hair with cold water. This helps seal in the conditioners and also helps preserve your hair color if you have colored hair. 4.ESSENTIAL OILS ARE YOUR HAIRS’ BEST FRIEND. Your scalp secretes natural oils that keep your air and scalp healthy. Using products infused with essential oils helps replete these oils and prevents hair thinning, keeps the hair moisturised, hence reducing breakage. Essential Oils prevent oxidative stress and give your hair a healthy sheen. The more the essential oils, the better the benefits. 5.GO EASY ON THE HEAT Heating tools can dry the hair causing split ends, breakage and overall damage. If you must use heat, use silicon-free products to protect your hair. 6.IF YOU SWIM A LOT, CONDITION YOUR HAIR BEFORE YOU JUMP IN When you condition your hair before swimming, the hair shafts absorb the conditioner and water instead of the chlorine. This prevents damage from the chlorine. This is a simple but very efficient trick for the regular swimmer. 7.DON’T WASH EVERYDAY Washing your hair strips it of the natural oils and increases breakage and split ends. Skip the daily washes. IS THERE A WOMAN WHO HASN’T HAD A BAD HAIR DAY? “The whole idea of women always have good hair days is a myth. Women shouldn’t be slaves to dozens of hair products that are filled with harmful chemicals, is what I really believe,” said Lam Le MD, a physician mom of 4 kids who switched her whole family to Monat products. She uses the Monat Hydration System for her hair, Monat Junior System for her kids and Monat Black is her husband’s favourite men’s grooming kit. 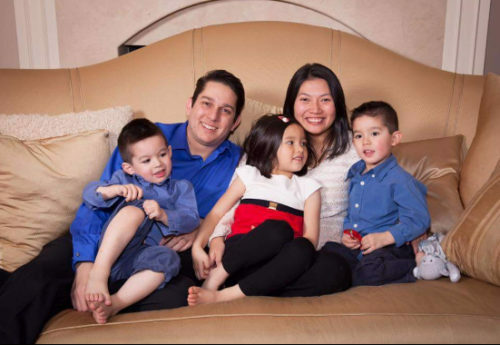 PHYSICIAN AND BUSY MUM , LAM LE MD SAYS “MONAT PRODUCTS WORK.MY WHOLE FAMILY SWITCHED TO MONAT”. THE PRODUCTS ARE SAFE AND EFFECTIVE. There’s a Volume System , Hydration System, Intense Repair System among other systems, all specifically tailored for different hair types. Take the Porosity Test to determine which Monat products are right for you. There are numerous shampoos, conditioners and styling products to meet all your hair needs.The Systems, which comprise of a shampoo, conditioner and styling product are just $99 per system. They are only available on this website. They are shipped directly from the manufacturer to your door step. You can get sign up as a VIP customer to get 15% discount and free shipping in North America and the UK. “I always had good hair ,” she remembers. “I had my third baby and it started falling off, in chunks “ She considered Rogaine and a bunch of other stuff, but seeing that she was breastfeeding, she couldn’t use any of those products. She switched to Monat and just like that, she got her locks back. It’s been a blissful 6 months and she wishes she knew about Monat earlier. 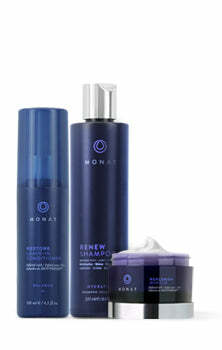 Now her whole family uses Monat.“Your hair needs tender loving care. Monat is the answer. ” she says. “I wanted products that are safe for the whole family. 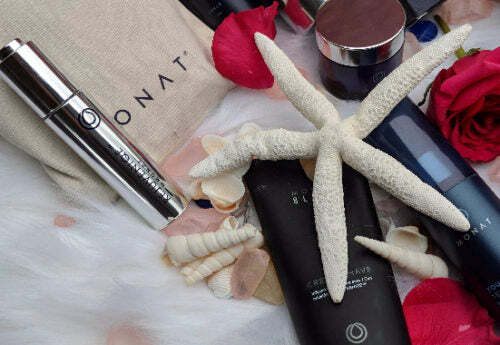 Free of harmful ingredients.” “I found that in Monat”. The overall effect, she says, is a head of healthy hair, without the harmful chemicals. I call it Modern Nature. Plant based, hair products to keep your hair on point and help you get the best hair care. MONAT ROCKS.